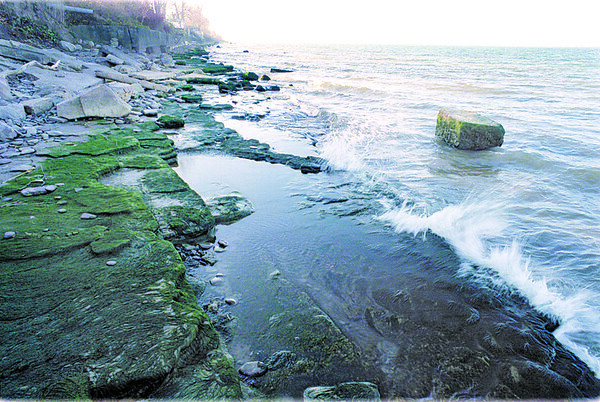 With the water so low on Lake Ontario, many of these rocks and coastline are now exposed. Normally these rocks would be totally covered by water. The effect can be seen by the amount of green moss growth on the rocks.